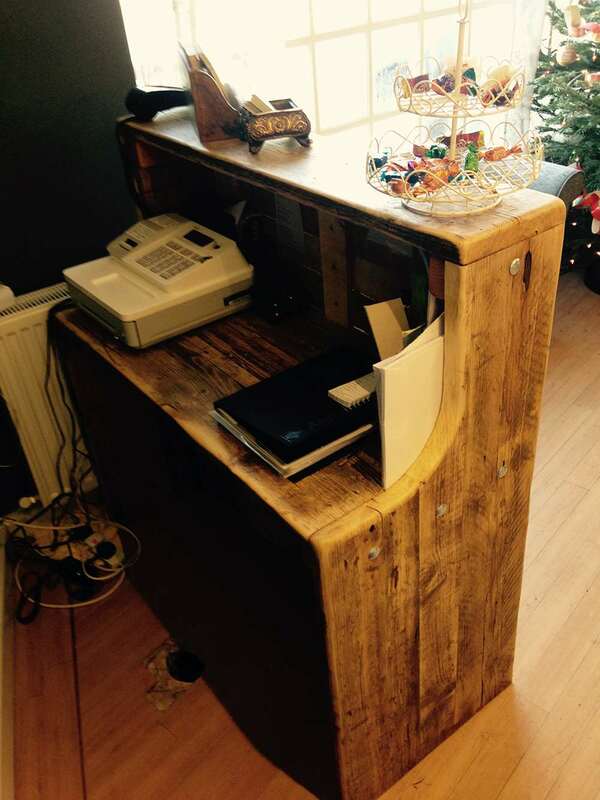 Chunky salon desks made from reclaimed wood. 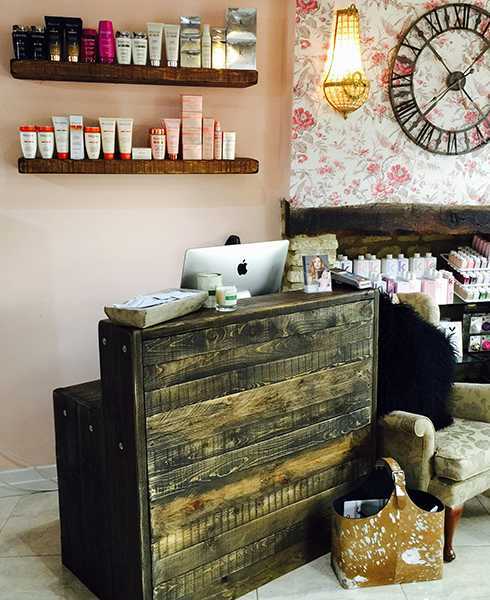 These salon desks come with a solid customer facing back and top shelf for bookings book, flowers etc. and a lower, inner desk for computer/ phone etc. 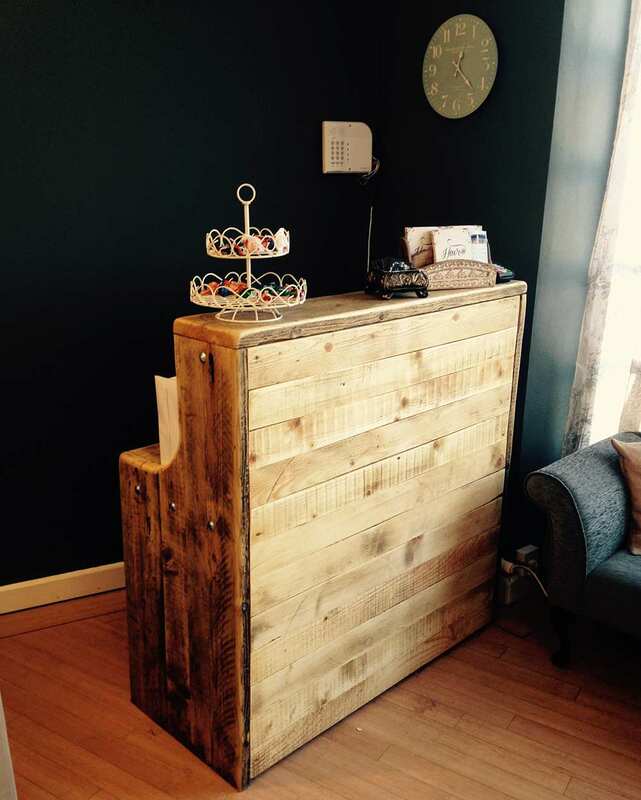 As with other desks these are made to order based on your specifications. Below are the dimensions for the pictured examples. This desk was given a dark stain prior to oiling. The wood used in the desks is around 3.5cm thick – giving a solid chunky appearance. The dimensions are up to you and will be priced accordingly. Click here for a gallery of desk images.